Good morning, Denver, and good morning, Insiders. Aye, an air conditioning view, but ’tis no Munters. It’s a Friday in a beautiful city, but there’s a wintry mix outside that may keep us in close proximity to the hotel once the day’s duties are done. 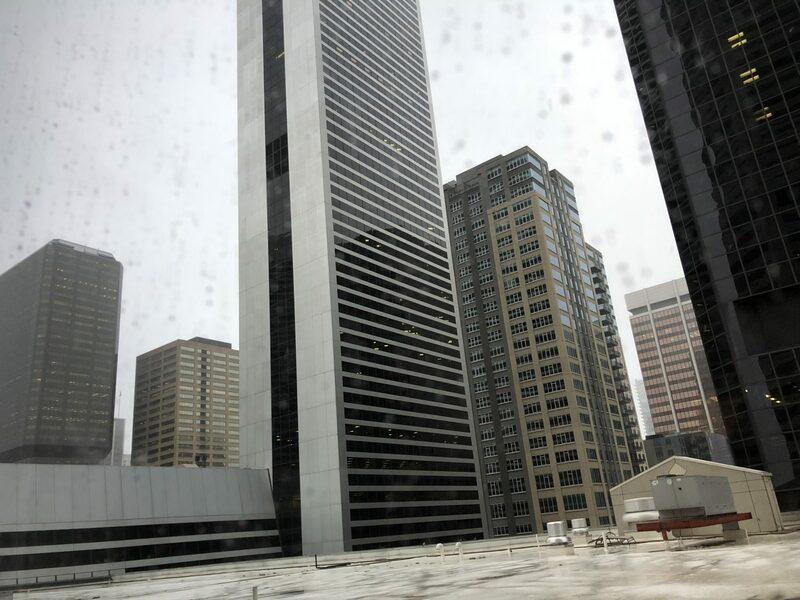 For all the sunshine that Denver receives, the team’s two visits this year have been in the completely plausible wintertime cold rain and snow, to quote the Grateful Dead. 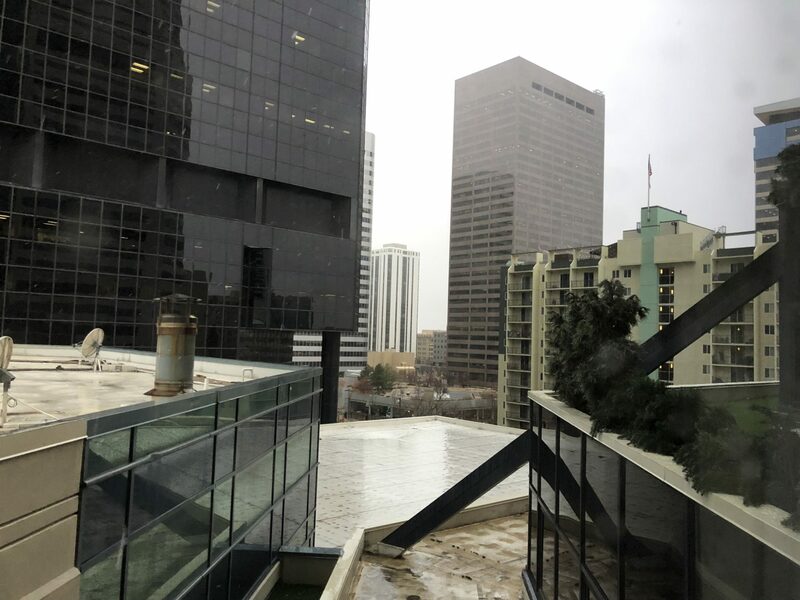 With so much winter activity nearby, it got me wondering: has anyone yet been into the mountains around Southern California – or as far north as Mammoth or Lake Tahoe, perhaps – since the storms began earlier this week? In my gatherings from afar, the really local places, tiny ski areas like Mt. Waterman or Baldy, will probably open this weekend, though Waterman’s always iffy. The Big Bear resorts have a healthy amount of snow on the hill, but it still was sounding like the latest storm came in the form of sleet and rain rather than snow that stuck. There’s still good cover there, though, to my understanding. Mammoth, as it does, got hit really hard. I’ve always kind of held out hope that on some trip, the team would make a two-day, um, “team-building” getaway to Vail or Whistler or somewhere – similar to a St. Louis Blues excursion in 2013. Darryl Sutter’s Blackhawks also made a memorable Whistler trip that I’m sure a number of you remember. No skiing on this trip, Insiders, even though it appears the Rockies are getting hit pretty hard today. That’s it for now, gang. The team is scheduled to practice at 1:15 p.m. this afternoon. WUWTK will follow. Let’s talk soon, Insiders.